The demise of the Penrith Emus from Sydney’s Shute Shield emphasised how difficult it is to sustain high-level rugby in such a competitive area. It’s often reiterated that western Sydney’s population is around two million – and growing – and on that count alone it’s imperative the game’s administrators provide significant investment that will lure players, fans and sponsors. But up against the tribalism of rugby league, the mass appeal of soccer and the slickness of the AFL, rugby has been left behind in western Sydney’s football code war. Every sport carries the expectation to spread the gospel. Grow the game. Target new and developing markets. Where are the fertile grounds? How ambitious do we get? Go national? Regional? Global? SANZAAR is a regional player and it seems Super Rugby expansion is still an option despite the recent failure of the bloated 18-team format. The “SANZAAR 2030 Strategy” paper was leaked to some of Australia’s media this week, revealing some details of their plans. No regions or countries were singled out in the document but all the chatter was that the United States was a possible target for such an expansion post-2020 when the current broadcast deal runs out. Yep, puffing the competition back up again to a 20-team, four-conference format. Perhaps SANZAAR have leaked this document to prove they’re being strategically pro-active after copping plenty of criticism last year, but also – I assume – to get an initial vibe from the public as to which way they might move. Adding a fourth conference of US teams to Super Rugby is too big a punt to take. The sleeping giant school of thought isn’t persuasive enough for me. SANZAAR should wait at least a few more years until everyone can get a good read on the success of the newly launched Major League Rugby. Of course it’s a massive population whose fans and corporations have a thirst for sport. But aside from the logistical complexities, the battle for attention against the NFL, NBA, MLB, NHL and even MLS seems too much to take on. The US is a vast and rich country. Even a small market share could be deemed a success. But as Penrith’s slide in western Sydney proved, be prepared to be humbled if you scrap with other professional sports in such a highly competitive region and fail to get traction. That probably sounds defeatist. The rewards are alluring but austerity is what Super Rugby needs for now. Perhaps only if South Africa choose to take off to the northern hemisphere competitions from 2021 – which is entirely possible – then a US conference is worth a crack. China is sometimes also referred to as a sleeping giant for rugby. Further Asian expansion would be tempting logistically, but there’s little doubt US franchises would be better prepared to step up to an elite multi-national competition. 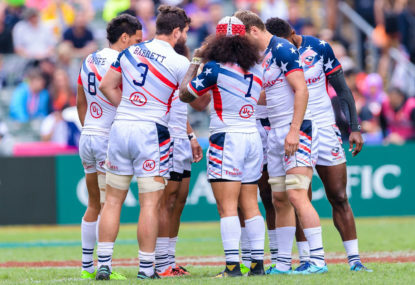 It’s too big a task for SANZAAR to try to spark rugby in the US without the exit of South Africa from the alliance, despite the enormous riches that potentially await. Remember, a professional competition was established in the US in 2016 and lasted just one season before it collapsed. It seems way too bold and too early to chase the holy grail in the US, especially given Super Rugby’s credibility was severely damaged by the 18-team expansion flop. Fans don’t want more significant upheaval. Stability and consistency should be paramount for SANZAAR. 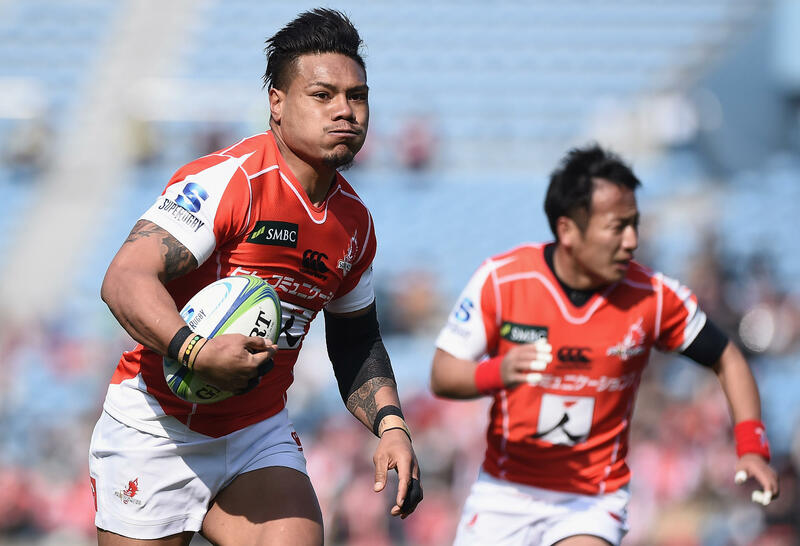 The Sunwolves are struggling for traction, although SANZAAR will be hoping they get a big boost either side of the World Cup in Japan next year. If that fails to eventuate and wins and fans are still hard to come by, the Sunwolves will find it hard to justify their place in the competition. Perhaps only then can SANZAAR look to replace them, and I’d rather a Pacific Island team be first in line. A team based in Fiji feels like a romantic option. Travel times would be minimised. More home-bred players could be retained and not lost to the European competitions. But above all, it’s a proven rugby-loving region with little else that rivals it sporting-wise. SAZAAR should shelve the wide-eyed US-dominated ambition of large-scale expansion and if there’s room for any additions, show restraint with a team in the Pacific Islands.